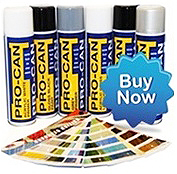 Aluminium Acrylic spray Paint Aerosol, If using on plastics you will require a plastic primer. Can be used on alloy wheels for quick and easy repairs. Acid etch primer is advised for bare aluminium.